The family-friendly Eagle Rock compound also includes housemade ice cream and a cozy bar. L.A. has no shortage of great neighborhood restaurants, but chef Michelle Wilton and her husband/business partner Corey are taking things to the next level: They’re opening a neighborhood compound. 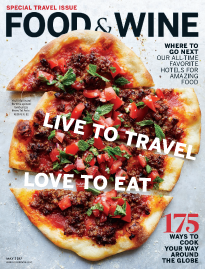 Piencone has pizzas topped with housemade sausage, La Quercia cured meats, and “the kind of cheeses you would use on a cheese plate,” Wilton says. There are vegetarian and vegan options, and any pizza can be made with a gluten-free crust. 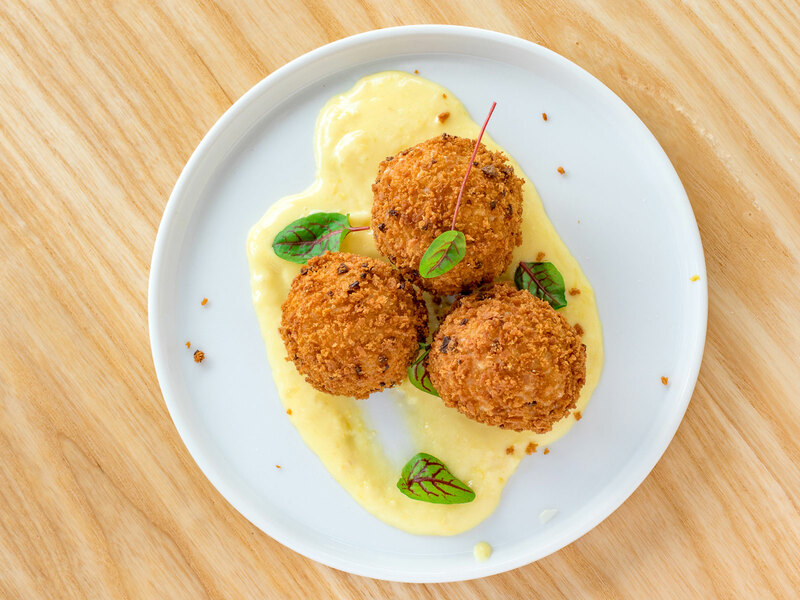 Beyond pizza, Piencone has dishes like an escarole salad, smoky wood-roasted cauliflower, and creamy and crunchy wild boar arancini with lemon parmesan sauce. Piencone is also an ice cream shop with housemade flavors like Meyer lemon buttermilk and sesame caramel that features both sesame seeds and tahini. “You really get that blast of sesame,” Wilton says. Piencone also includes a 14-seat bar, run by partner Herb Gualpa, with 15 on-tap craft beers. There are cocktails named after bands whose members have included the bar’s staff: The La Maestra, for example, is gin, honey and lime jalapeno syrup, and Aleppo pepper. South of Houston blends bourbon, passionfruit, lemon, fresh ginger, and ginger beer. The space has a six-table, kid-friendly back patio with a playhouse, board games, books, and life-size Jenga. That patio can be rented for private family parties. Piencone, divided into five areas that include a main dining room and a lounge/atrium space, is a restaurant where you can bring everyone you know. Wilton, who also operates Four Café in Eagle Rock with her husband, thought a lot about balancing different kinds of experiences when she created Piencone. She had previously baked at elegant restaurants like L’Orangerie, Patina, and Sona. She was a private chef for five years, so she knows how to make all kinds of food. And even in a city loaded with new pizza options, Piencone’s creative flavor combinations stand out because they’re, well, balanced. The Honey Pot pizza has La Quercia salami, spigarello, sheep’s-milk cheese, Sicilian oregano, and Aleppo honey. It’s meaty, savory, and creamy while offering notes of bitterness, sweetness, and spiciness. 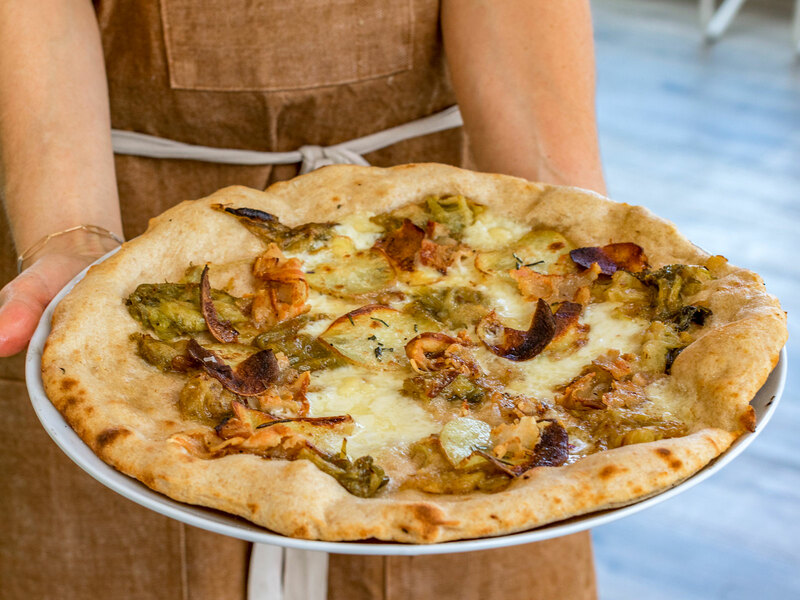 The rich and earthy Beer Baron pizza includes beer-braised leeks, raclette, La Quercia pancetta, and satina potato. The Vegan Squashington pizza features kabocha, rosemary, garlic confit, goosefoot greens, charred shallot, and almond ricotta. The flavors of lemon and Calabrian chiles pop on the vegetarian, greens-laden Green Thumb pizza with tomato, oregano, shaved garlic, and fiore sardo. Kids, of course, can customize their pizzas. This is a neighborhood gathering place created by a neighborhood family who understands how L.A. likes to eat.